Home › Letter from the Editor › Such a Spectacular Fall- Now on to Winter! Can you believe we had the most spectacular fall colors this year? At least that’s what everyone said. To me every fall has awesome colors– maybe that’s because I spend so much time in my mountain forest. While others do time on a mat, my meditation takes place on daily morning and evening dog walks. Thoreau claimed that he could not “preserve his health and spirits unless he spent at least four hours a day sauntering through woods and over hills and fields absolutely free from worldly engagements.” I’m lucky to get in a one-hour meditation/dog walk every a day. So for me the changing of seasons is more gradual, natural and absorbing rather than suddenly stunning and beautiful every year. 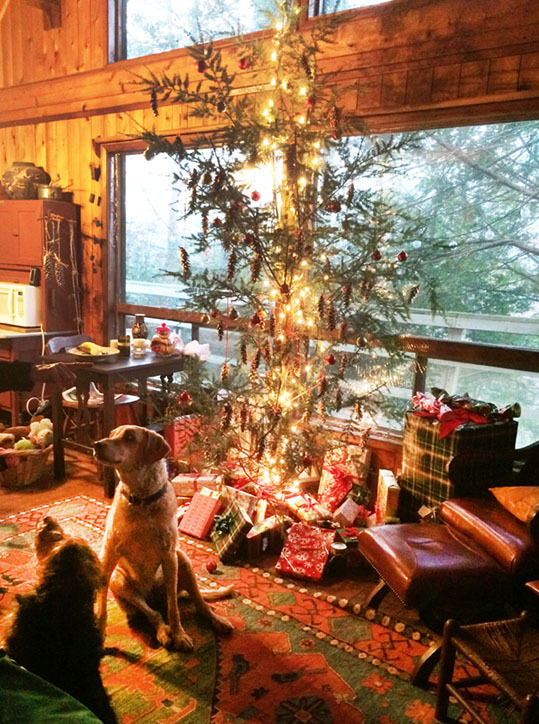 The coming Holidays have a different feel this year as I look ahead to the second time around without my Mom and her Chesapeake Bay Retriever, Natalie. Last year was simply a “getting through,” this year comes a reckoning. I suspect my woodland dog walks will be longer and more frequent. Heck, Maxine and Billy Zoom will be down for that I’m sure, so maybe there’s a good side after all. And yes, the dogs are doing great! With medication, Maxine’s immune deficiency has been curbed, and at 9? years old, she almost seems like a puppy again. Little old man Billy Zoom is always a happy fella. Although he takes longer to wake up and goes to bed earlier, he’s enjoying a life he’d never dreamed as my favorite little ole’ man. This issue started as a bit of a conundrum for me as I tried to pair Winter Holidays in the Mountains with planning an exquisite wedding or event. Turns out they compliment each other nicely. Did you know an increasing number of engagements and wedding planning events happen over the Holidays? 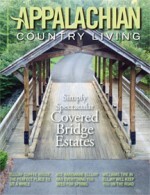 I am pleased to welcome Hector Rosano and Gerard Monte back to Appalachian Country Living Magazine! The Dynamic Duo will now bring their expertise to The Mountains of Big Canoe with Rosano as Executive Chef and Monte as Director of Events and Catering. The “marriage” of Big Canoe and the Dynamic Duo could not be a better fit. The Mountains of Big Canoe is an exclusive, private venue for weddings and corporate events offering exceptional amenities. Our next issue– February/March– will preview everything for the coming spring- Valentine’s Day Specials, St. Patrick’s Day Events, and everything you need to know when moving to or visiting our small mountain get-away towns. We look forward to greeting y’all!